I saw an infomercial the other day for a weight loss solution targeting the frustrated people who, “fail to see results from diet and exercise.”Had to scratch my head on that one. When does diet and exercise fail? This, of course, is a trick question. Diet and exercise don’t fail. I’ve seen more clients than I can count transform their bodies through the power of diet and exercise. Without surgery. Without gadgets. Without pills. The real question to ask, when you’re not making progress towards your fat loss goal, is not why diet and exercise has failed you, but rather why have you not stuck with it? I will not downplay the hard work that goes into sticking with a diet and exercise plan, day-after-day, week-after-week, in order to achieve a stunning body transformation. Which is precisely why so many give up before experiencing the body that they really want to have. 1. Mentally and emotionally lock on to the idea of the new, sexier, you. You can’t causally date the idea of transforming your body. This isn’t a noncommittal, no-strings-attached relationship – you’ve got to go all in, both mentally and emotionally. Attach yourself to the idea of a brand new you; focus on how you will feel, what you will wear and how life will improve once you achieve your fat loss goal. The stronger your feelings and mental image become, the more likely you are to succeed. There is no need for fancy diet plans or complicated exercise movements when it comes to dropping pant sizes. Keep your game plan as simple and boring as possible, even eating the same meals everyday and exercising at the same time for the same length (with varying intensity), until your big fat loss goal has been met. Until your big fat loss leap has been made just stick with an uncomplicated game plan that works. 3. Plan for the resistance. This resistance will come in the form of tempting cheat meals, tired muscles, lazy friends and waning motivation. But, most powerfully, the resistance will come from inside of you. It’s natural to resist change, and transforming the shape of your body is big change. Plan for the waves of resistance. See it coming before it crashes over you, and you’ll be able to stand strong long enough for it to recede without hampering your progress. This is the most important step by far. It is essential to build accountability into your fail-proof fat loss plan. A friend, a coach, or a mentor who has a vested interest in seeing you succeed will save you from throwing in the towel when things get tough. 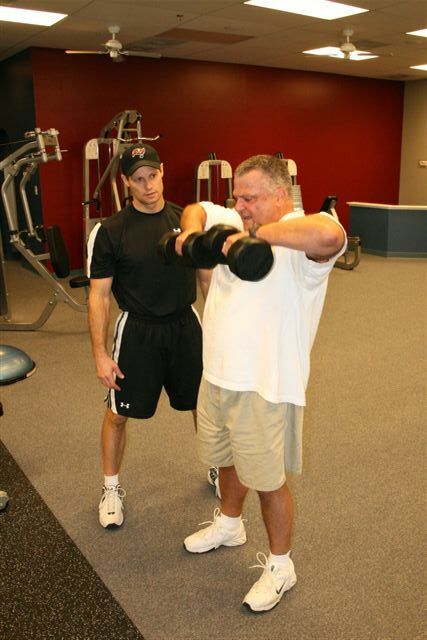 The role that I fill for my clients is the accountability to keep them on their path to health and fitness with my support, instruction and encouragement. I celebrate every inch lost and every ounce of new confidence gained. If you’re not yet one of my amazing clients then today is the perfect day to begin! Call me at 813-571-3700 or email me at Rob@RobZFitness.com now to get started on your true body transformation story – and let’s show the world how diet and exercise DO work! My challenge and advice to you is to find the joy of living in the momentum, and keep that momentum going until your goal number is achieved. Focus only on the momentum, not on the number. Don’t know where to start when it comes to exercise? Let us help you! 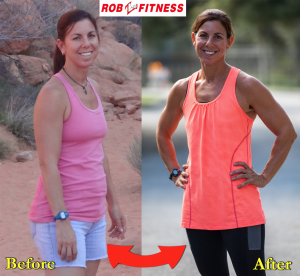 Call (813) 571-3700 or email me at Rob@RobZFitness.com today and we will get your momentum started on the exercise program that will reshape your body once and for all! You want to be fit. You know how much you should weigh. You know your ideal size. You can even picture how great those skinny jeans will look. If you’re like me and most of my clients you are constantly looking for healthy meals to stay on track to stay in shape. Swapping out a couple of your daily meals for a 1-2 scoop protein shake you’ll save yourself a few hundred calories each day while providing your muscles with much needed protein. Most of my clients choose to make this swap for breakfast and a late night snack. Since it’s so convenience to shake up some protein powder and water to drink on-the-go as you race out the door to start your day. If you only choose to make one resolution this year make it this one – you’ll be astounded at the quick results this simple daily swap will deliver. Need help staying motivated and kept accountable? 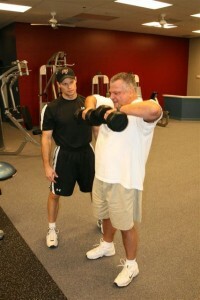 Call me at (813) 571-3700 or email me at Rob@RobZFitness.com. P.S. This was a short video I put together a few years ago about putting together a simple protein shake.